It is fall, which means that trade show season is upon us. Trade shows are a great way to market your brand, but often the effort is less than what you might have expected, especially given the money and hours that are put into trade shows. If you are a trade show vendor, there are marketing ideas, plans, and actions you should consider to make your investment pay off. It is hard to reach any objective if you don’t know exactly where you’re going. I like to ask our clients what they would define as a successful takeaway from a trade show. That typically is a number of new clients or hitting a sales figure from the leads at the show. Once you set a goal, work backwards to create a plan of action. For instance, if you want to gain 10 new clients and you know that you typically sign 25 percent of your leads to a contract, that means you will need to generate 40 leads at your show. If you know that you will get one lead from every 10 people you meet at the show, that means you will need to meet and greet 400 people to reach your goal. If that were put on your sales staff to do 400 cold calls in a few days, the task would probably be too great. Trade shows offer you an opportunity to meet hundreds of people in a short amount of time. Set a goal and keep your objective in mind while you are working the booth. That leads to another question: how do you attract people to your booth? I like to use a twofold approach. First, come up with a reason to stop and look at your booth. Use intrigue to your benefit. If you have a product that is easy to demonstrate, do so. If you have items that can be picked up and manipulated, place them in the site lines of people passing your booth. Consider giveaways that people want (ixnay the trinkets and trash). The second part of our approach is to do a special invitation before the show. If you are giving something away at the show, tease them with a pre-show ad, mailing or e-blast that lets them know what they will receive if they show up at your booth. During the show, walk the aisles and hand out flyers that promote the same thing. One of the most successful booth giveaways we did involved a hat swap. We promoted that we would have baseball caps in our booth and you could exchange an old hat for a new one. It worked! People came walking in with grimy old hats in hand looking for the booth. Play off the natural curiosity of people and the old gimmick of getting something for free. One of the biggest marketing mistakes you can make after a trade show is not immediately following up with the prospects you generated in your booth. It is amazing to me how quickly a hot lead can go cold a few days after a trade show. It is so important to touch people within 48 hours of the show ending. I would encourage you to come up with a plan that is implemented as soon as the show is over. If you have so many leads you cannot possibly call on them within 48 hours, use some device to make contact - such as a text, phone call, e-blast, or mailer. The reality of trade shows is that they over-stimulate attendees. They go from one booth to another hearing vendors pitch their wares. If you want to make a sale out of your leads, you must remind them who you are and keep them from drifting away from any interest in your brand. Too often the sales staff working a show will want a break right after a show. It is the wrong time to stop. It is the time to step on the gas. I have clients who book a hotel one more day past every trade show. They spend the 24 hours after each show making phone calls to set up appointments before they leave town. They spend the next week getting in front of each potential customer. One effective method to keep the interest of your leads is to offer some sort of after-show deal that has a limited time to redeem. It gives your sales staff a reason to call back all of your leads and gives them an actionable item to pitch. 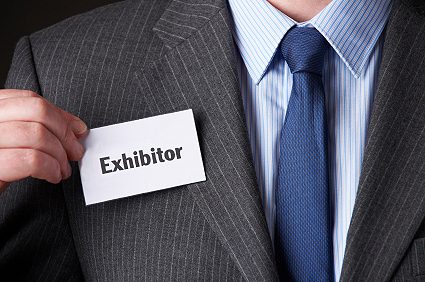 One more thing to add to your trade show marketing plans: remember your current customers who attend these shows. Running into a familiar face at a show can be a nice sanctuary in a sea of unknown vendors. As long as you are giving things away, why not stock some nicer gifts for your current customers who come to your booth. This lets them know you value them. It also will help gain new leads. The psychology of people attending trade shows goes something like this: if a booth is empty, I don’t want to walk into it. If there is a crowd of people in a booth, there must be something worth seeing – and there is strength in numbers. I have seen this play out hundreds of times. Draw in one customer and two potential customers will stop by your booth. Try it and you will see what I mean. There is a lot of time and effort that goes into creating booth space that looks appealing, but often not much marketing thought goes into how to get potential customers to your booth or what to do with them once they arrive. If you are attending a trade show this fall, make sure you are planning for your success. That involves marketing before, during, and after the show. Make your trade show marketing investments pay dividends in leads that result in more business for your company.